**Please note that public libraries are closed on the Heritage Day Holiday. Black women who made a difference in Nova Scotia / edited by Dolly Williams. Congress of Black Women of Canada, c2007. Field notes: a city girl's search for heart and home in rural Nova Scotia / Sara Jewell. Nimbus Publishing, 2016. Invisible shadows: a Black woman's life in Nova Scotia / Verna Thomas. Halifax, N.S. : Nimbus, c2001. Maud Lewis: the heart on the door / by Lance Woolaver. Spencer Books, 2016. The Nova Scotia nine: remarkable women, then and now / portraits by Jo Napier; stories by Joanne Wise. Halifax, N.S. : published for the Advisory Council on the Status of Women by Communications Nova Scotia, 2014. Rebel women of the east coast: daring to go beyond the limit / by Michelle Porter. Altitude Publishing, c2005. The road here: stories from senior women in rural Nova Scotia / edited and photographed by Rachel Brighton. Bridgetown, N.S. : Western Area Women's Coalition, 2008. Run, hide, repeat: a memoir of a fugitive childhood / Pauline Dakin. Penguin Canada, 2017. Song of Rita Joe: autobiography of a Mi'kmaq poet / Rita Joe; with the assistance of Lynn Henry. Ragweed Press, c1996. Throwing rocks at houses: my life in and out of curling / Colleen Jones with Perry Lefko. Penguin Canada, 2015. Women of courage: 15 Cape Breton lives, in their own words / collected with an introduction by Ronald Caplan [editor]. Breton Books c2016. Year of the horse: a journey of healing and adventure / Marjorie Simmins. Pottersfield Press, 2016. Capturing joy: the story of Maud Lewis / Jo Ellen Bogart; illustrator, Mark Lang. Tundra Books, c2002. Christmas with the rural mail: a poem / by Lance Woolaver; with paintings and hand-painted Christmas cards by Maud Lewis. Nimbus Pub., c2010. For the children / Rita Joe; with woodcuts by Burland Murphy. Wreck Cove, N.S. : Breton Books, c2008. 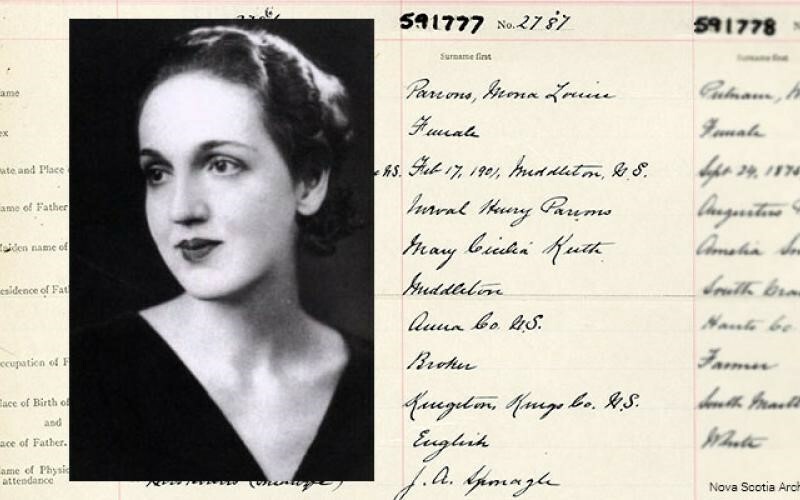 Nova Scotia physician, Nova Scotia’s first woman to be licensed as a doctor. Comics artist, creator of the popular comics “Hark! A Vagrant”. Librarian and archivist, collected material pertaining to the history of Cape Breton and Gaelic materials that would otherwise have been lost, Beaton Institute of Cape Breton Studies named in her honour. Mi'kmaq activist, responsible for the largest class-action lawsuit in Canadian history that won compensation for survivors of the Canadian Indian residential school system. Canadian Senator, former Director and Professor, School of Social Work, Dalhousie University. Human rights activist, author, journalist, publisher, co-founder of The Clarion, the first newspaper in Nova Scotia that was owned and published by Black Canadians. Artistic gymnast and medalist, represented Canada at the 2012 and 2016 Summer Olympics. Acadian dancer and actor, achieved artistic excellence in two fields: dance and theatre. Feminist and peace activist, dedicated life to advancing world peace and social justice. Human rights specialist, former Lieutenant Governor of Nova Scotia, and public servant. Chief justice of the Supreme Court of Nova Scotia, first woman to become chief justice of a Canadian court, officer of the Order of Canada. Nova Scotia physician, active in Nobel-prize-winning organization Doctors Without Borders (Médecins Sans Frontières or MSF), including serving as the president of MSF Canada. Poet, earned many accolades, Unofficially known as the "poet laureate" of the Mi'kmaq people. Award-winning multidisciplinary Mi’kmaq artist, explores issues of identity, colonial history, tradition, and cultural practice. Speaker and writer, for improvements in women's education and women's suffrage, founded the Nova Scotia College of Art (today's NSCAD University). Award-winning fiddler, from Inverness County, plays Cape Breton fiddle music. Bestselling Canadian country and folk singer, named to the Order of Nova Scotia. Track and field athlete, in both the Nova Scotia Sport Hall of Fame and the Canadian Olympic Hall of Fame. Mi'kmaw Elder and activist, fought for right of native women to marry non-natives and retain native status, help found the Native Council of Nova Scotia, received a medal for her years of community work. Acadian medical pioneer, midwife, healer, homesteading pioneer. Writer, best-selling author, champion of children's and animal rights. Classically trained contralto, internationally renowned, toured and sang across Canada and internationally.